Progress on the maps project! Briefly, the goal of this project is to create a heatmap of commute times to/from different parts of LA. 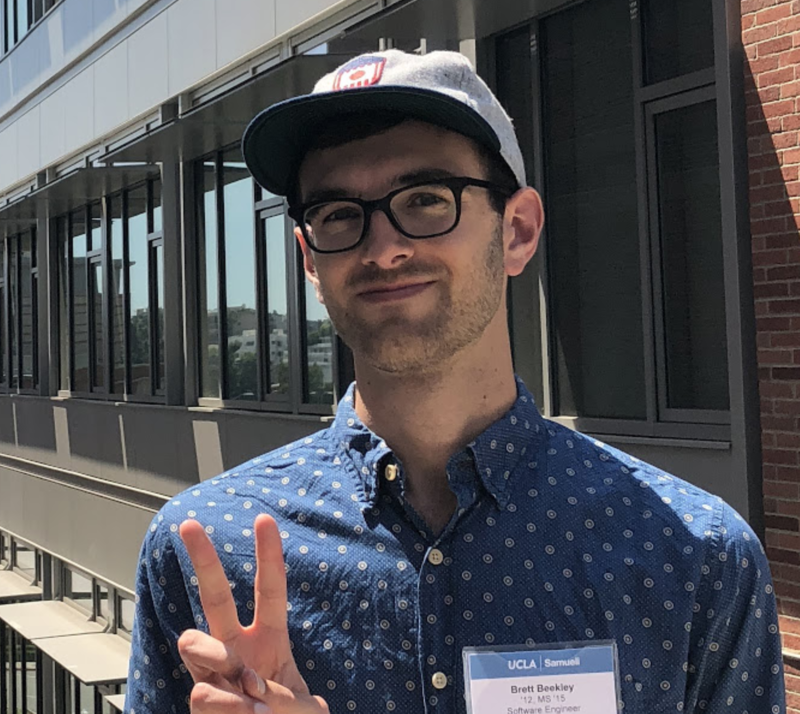 When I started working in Long Beach last year, I was considering moving to ease the commute– while at the same time, balancing Emma’s commute to UCLA. 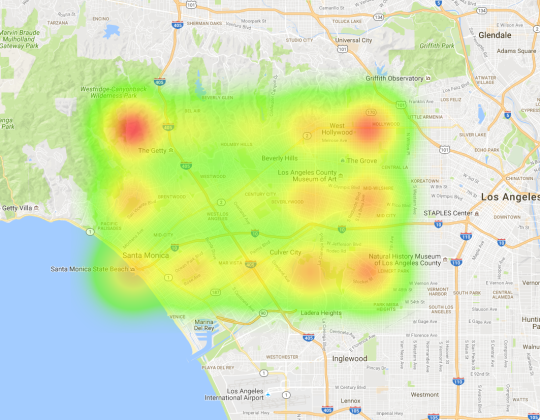 I’m putting this together to validate our decision to stay in West LA (actually, mainly for fun) by creating a heatmap of summed travel times to UCLA and Long beach from different locations in LA. I’d like to expand it to fix UCLA as one destination, home as the origin, and all of LA as the second destination to determine the geographic areas I could work in with a reasonable commute. 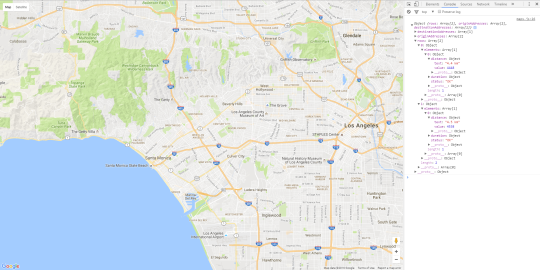 This map is the first little test to heatmap travel time to UCLA. First little test using the Google Maps API. Github will be updated as I work on it. I have a problem with getting excited, starting projects, then getting excited and starting something else. I think this will the one I work on until closing (either by completion or failure). I’ve spent a long time thinking about my ideal video game. It seems to change every time I talk about it, and even when something comes along that seems to fit what I’m looking for, there’s always something missing. I think that the idea of “my ideal game” is an impossible goal, both because it’s unlikely that a game producer has the exact values and aims as me, and because my “ideal game” is a constantly moving target and likely will always be. I could have complete control of an excellent dev team and still wouldn’t know how to create it. Instead, I’ve started to think more about components of games that I value strongly. Perhaps together these will form that perfect game I’m looking for, but I might doubt that. The first component I want to talk about is darkness. Few games treat darkness as the horrifying, sensory-depriving environment that it is, often because it’s just not fun to play without being able to see anything. Night in games is certainly darker than day, but is often awash in bright moonlight. I can’t see very far at night (well, except in light polluted LA), and I expect that to be true in-game as well. The Legend of Zelda: Ocarina of Time was one of the first games where I felt that night was this dangerous and lonely time to be out. It’s quiet, dark, full of monsters and absent of anyone that generally makes you feel at “home” or “safe”. 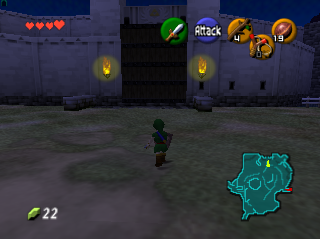 But Ocarina of Time has a wonderful sense of mystery throughout that is amplified by the darkness. Darkness became an important driver of gameplay with the popularity of a lot of survival games. Mining better materials and building bigger forts in Minecraft helps protect against what comes out from the dark and survive if you go into it. 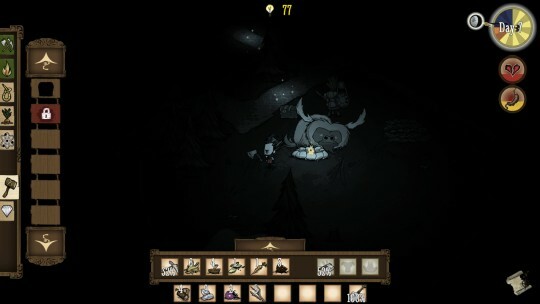 Don’t Starve basically requires that you stay still and close to fire a night, since visibility is nearly zero and the monsters are incredibly potent. 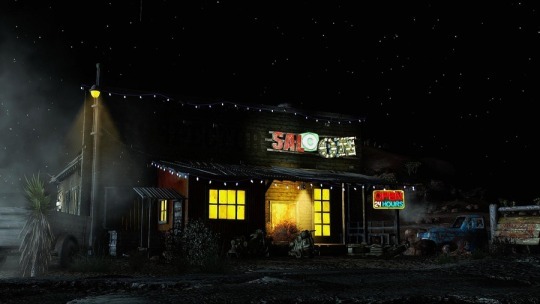 A game that does darkness particularly well is Fallout New Vegas with some choice mods (the screenshot above is in-game). Light becomes a precious and scarce resource at night since the monsters and bandits of the wastes can easily sneak up and overwhelm you. Darkness prevents the player from having knowledge of their surroundings– it doesn’t just buff/debuff or change the game mechanically in any other way, but only impedes the ability of the player to make decisions and act. Also I’m just a sucker for goldenrod/midnight-blue color schemes.